Exposed: SAA losses escalate under Dudu Myeni. Anyone smart enough to axe her? 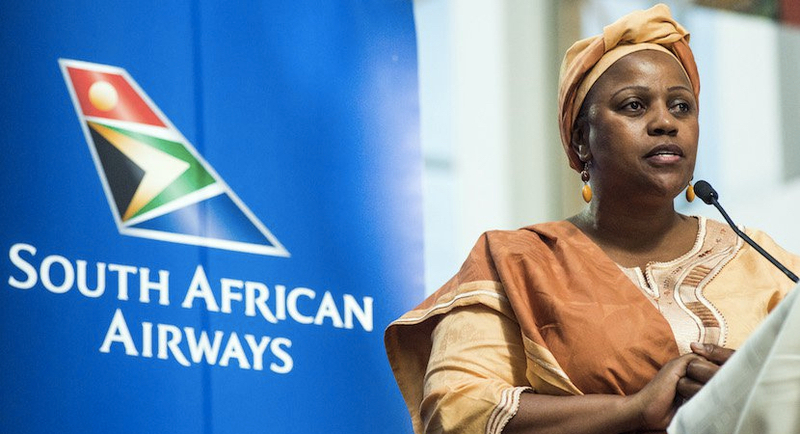 Cape Town – South African Airways (SAA) has revised its budgeted loss forecast for 2016/17 to R3.5bn from an earlier estimate of R1.7bn, documents sent to Parliamentarians on Friday reveal. 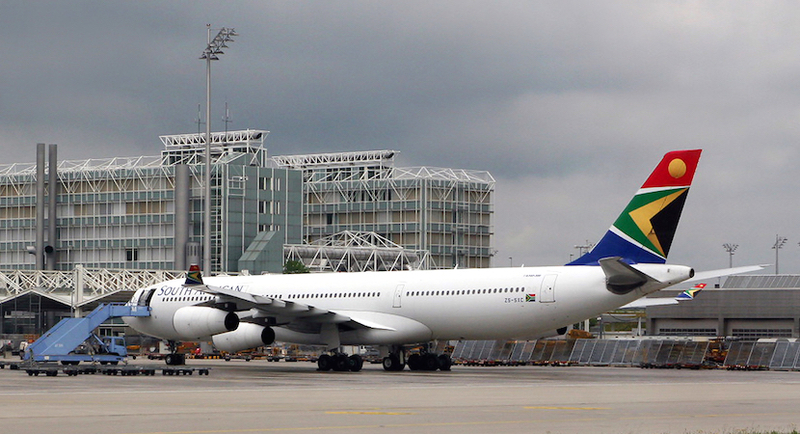 In a question sent to the SAA board from the standing committee on finance, which has oversight of the state-owned airline, the committee assumed that SAA had reduced its operating losses for the year under review. More magic available at www.jerm.co.za. The SAA board responded, clarifying that “the company has not reduced its losses for the year under review”. “The budgeted loss for 2016/17 was set at R 1.7bn but the revised forecast refers to an expected loss of R3.5bn,” the board said. In September, the government granted SAA an additional going-concern guarantee of R4.7bn, increasing its total guarantees to R19.1bn. 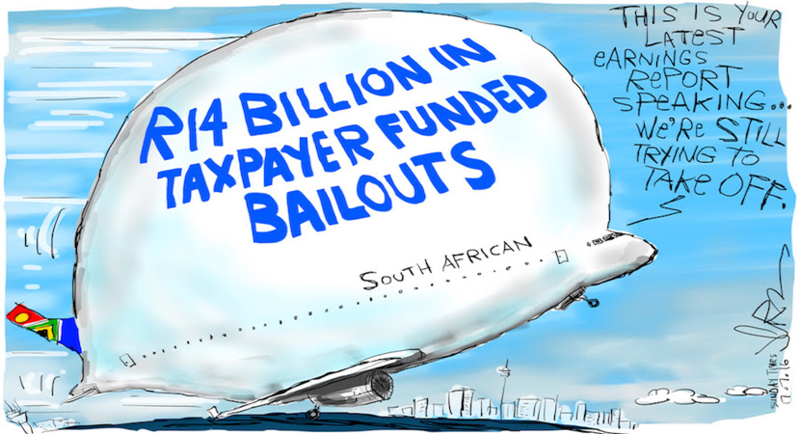 “SAA has used R3.5bn of a R4.7bn going-concern guarantee, with the remainder likely to be used in 2017/18,” Treasury said in its 2017 Budget Review. Democratic Alliance MP Alf Lees told Fin24 on Friday that the added loss “will represent a real cash loss as it will not contain the R1.9bn Airbus deal impairments that contributed to the R4.9bn loss in the 2014/15 year”. “It is a massive increase of a R2bn increased loss when compared with the R1.5bn loss declared in the 2015/16 year. 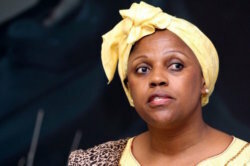 “The question here is whether this loss was massaged down to make the old SAA board – and Ms Dudu Myeni, the chair, in particular – look like they were making good progress? “The new board of SAA has clearly not been able to turn SAA around or even just stem the massive losses. The board is hamstrung by the poor and incompetent leadership of its chair Dudu Myeni. He called on Finance Minister Pravin Gordhan not to provide any further financial assistance to SAA. “SAA can only be saved if immediately put under business rescue and action taken to achieve a private equity deal that would result in capital revenue for the shareholder and thus the taxpayer,” he said. “The DA has asked that SAA produce a cash flow analysis for the 12 months of the current 2017/18 financial year. This will enable the full extent of the bankruptcy of SAA to be seen. Hahaha Dudu Myeni is now complaining about anti-transformation by pilots and attacking white media. I wonder if SAfm is part of that. In its Budget Review, Treasury said SAA “pared its losses from R5.6bn in 2014/15 to R1.5bn in 2015/16. The improvement resulted mainly from lower fuel prices and lower asset impairments”. Those pared-down losses would now seem to have been a lot less with the revised R3.5bn amount. Treasury said SAA “remains technically insolvent”. “Government continues to help SAA secure funding with its existing lenders,” it said. “A new board, appointed in September 2016, finalised the 2014/15 and 2015/16 annual financial statements as required by law. “The board is finalising the recruitment process for a chief executive officer and a chief financial officer. The process will be submitted for government’s consideration and approval. “SAA’s liquidity constraints are expected to persist over the medium term. Government will work closely with the board to reduce associated risks. During 2017/18, government will provide some financial support to SAA in a manner that does not increase the budget deficit. Treasury said advisers are assisting government with a review of SAA’s assets. “The review is expected to be complete by the end of March 2017. The goal is to develop a stronger, more efficient and sustainable state aviation sector,” it said. In its appendix in the review, Treasury said that “with support from the National Treasury, SAA has secured funding to allow the board time to review and strengthen its turnaround plan, and take steps to stabilise the airline and return it to financial sustainability”. “The board is finalising the recruitment process for the chief executive officer and the chief financial officer positions so that recommendations can be submitted to the shareholder for consideration. “The minister of finance has stressed to the SAA board that urgent action is required for the airline to operate sustainably. “This includes the board reviewing and strengthening the airline’s strategy to accelerate the turnaround and to ensure its robustness in the context of increasing competition and volatility in the fuel price and exchange rates.